1. Make yourself a pitcher of berry-infused water or try some cucumber and citrus. No Infuser? Just drop it into the water. Yum!! 2. 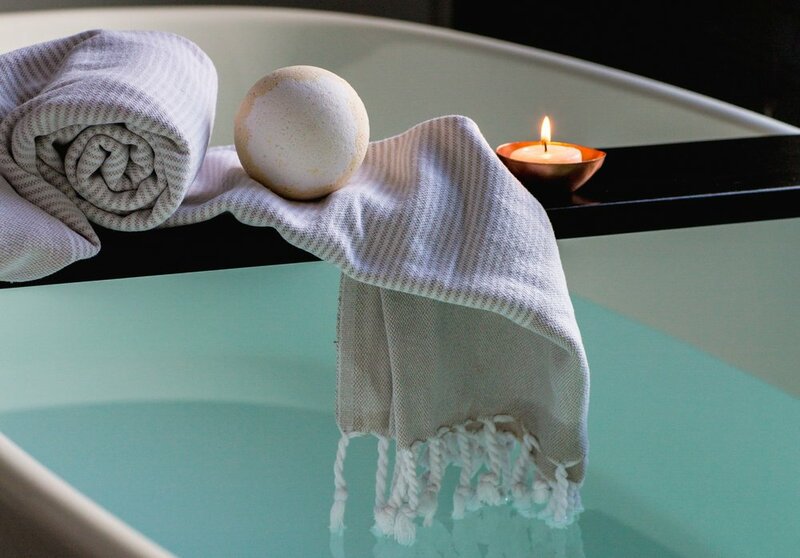 Take a bath with some fragrant bath beads or oils and soak away the winter blues! 3. Put your towel in the dryer to prepare it for the moment you step out of the bath. Then wrap your self in that luxury and warmth! Use a rich body lotion and massage onto damp skin to retain moisture. 4. Create your own hair conditioning treatment by combining ¼ cup honey, 2 TLB of olive oil, 1 egg and an avocado. Mash, mix and apply to your hair. Leave in for 20 minutes. Step into a hot steamy shower, shampoo and rinse away all of your troubles! 5. Meditate for deep relaxation. Reach for your favorite music app and play spa music. Sit comfortably with your back upright and your legs crossed, palms facing upward on your knees. Breathe deeply and smile. Pay attention to how your body feels and let any other thoughts float way on a cloud. Do this for 10-20 minutes. 6. 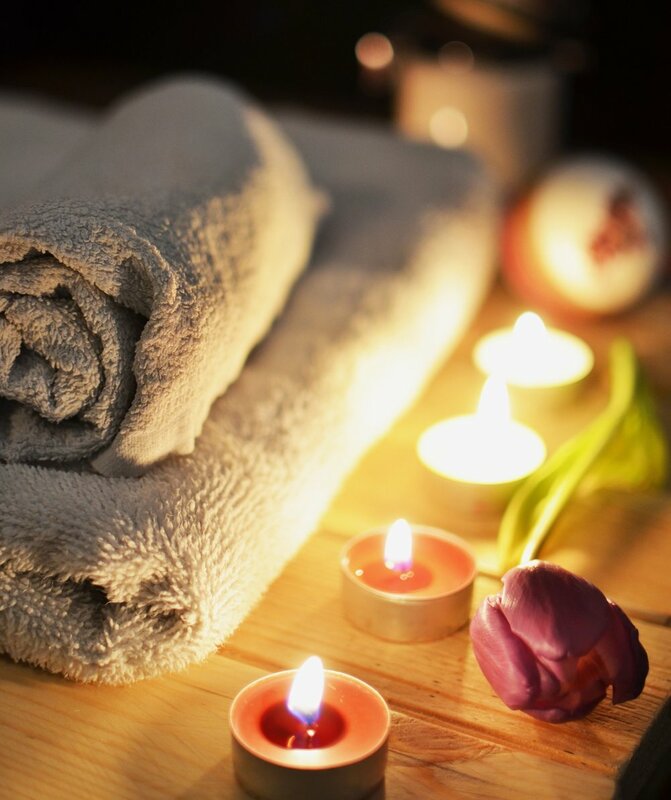 Light a scented candle to help create aromatherapy to top off your experience!